← Gem City, Texas…….and the Prayer That Should’ve Never Been! There’s Just So Much of This Stuff in Life We’re Gonna Have to Learn the ‘Hard Way’! It seems like it’s just a universal trait of humanity; this learning stuff the hard way. 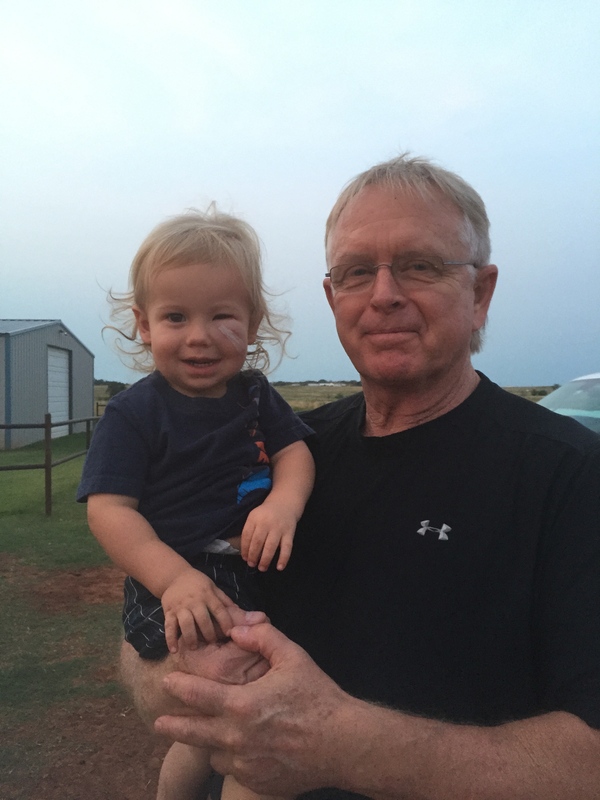 I was re-reminded of this a few days ago when my littlest grandson, Maverick, got his most recent knot on the head. He’s a year and a half old and the cutest little guy you’ve ever seen. (a little partiality here, but you understand!) He had two wrecks in the span of about 4 days that put two good-sized nicks in the ‘ol noggin’! The first one happened when he tried climbing up on a big heavy chair made from a old style tractor seat. You can imagine how heavy that was. Well, he got up about one step and the chair tipped over backwards with him and the edge of the heavy seat caught him right under the left eye. Miraculously, it missed his eye or it could’ve been really bad. Off to the ER they went to get him tended to. We were out of town when it happened but I “Face-Timed” Cole & Kelly (his dad & mom) later and got to talk to Maverick, himself. It was just an hour or so after they got home from the hospital. His eye was swelled shut but he was already in a good mood. The other wreck happened as he was playing with the front yard gate at his house. It’s just a little 4′ gate made out of inch and a half square tubing. He was just having fun pushing it all the way around one way….then all the way around the other way. He built up a little confidence and got a pretty good run at it pushing it around. Well, you know, every swinging gate has a ‘stopping place’…..and Maverick found it…with his little forehead! I saw it coming from 30′ away but no way to get there before it happened. Immediate tears and a fifty cent piece size knot on his forehead reminded me again of how our lives go sometimes. Five minutes later he was running and playing again! As much as we try and help our kids and grandkids avoid those kinds of things…it just seems like a fact of life that quite a few of our lessons are going to be learned that way. We could only wish those kinds of hard lessons ended with our childhood….but not to be true. It even seems that as adults we’re determined to defy logic, intuition and common sense, sometimes, to learn those lessons. The good news is that “experience is a great teacher”!! Nothing like a hard lesson to help us not to do it again! And, you know, the Lord will let us just run past the wisdom, foresight and instruction of the Holy Spirit if we’re determined to. I’m trying to do better. I’ve had all the “lessons learned the hard way” that I really want. I think I’ll spend more time trying to listen to the Lord….and pay attention to what He’s saying to me! **Disclaimer: Being a ‘Taylor’ might make one have to learn more than their fair share of ‘hard lessons’! !